WILD VENISON (MUSCLE MEAT), WILD KANGAROO (MUSCLE MEAT), PASTURE-RAISED LAMB (MUSCLE MEAT, LIVER KIDNEY & TRIPE) AND THAT'S ALL. 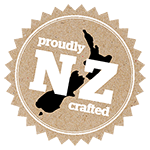 All ingredients are sourced from New Zealand, except for kangaroo which is ethically (males only) harvested in Australia. THE PREY MODEL DIET - is designed to replicate the natural feeding proportions that animals experience in the wild. Low in fat and cholesterol but high in protein and iron - great for building muscle. Long chain omega-3 fatty acids; DHA and EPA - support heart health. Broad B vitamin complex - support healthy immune and nervous systems and help maintain normal skin and eye function. High levels of natural chondroitin and glucosamine - help build long-term mobility and joint health. High levels of protein, higher iron content than beef, low levels of fat - great for building and maintaining muscle. Low pH, digestive enzymes, probiotics and phytonutrients - promote digestion, especially of bone.